From afar this grouping of flowers looked like typical daffodils. 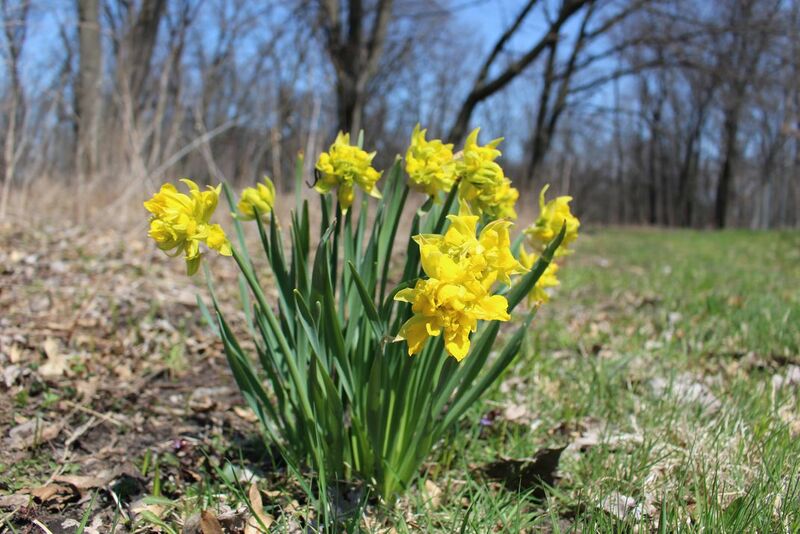 As I got closer I realized I stumbled upon my first double (or triple) daffodils. Daffodils and the color yellow are my favorite so this was an exciting moment. Date Uploaded: April 27, 2018, 5:10 p.m.